The head of government says the constitutional reform is very important and needed. Prime Minister Volodymyr Groysman reckons that the adoption of the constitutional reform is very important and necessary for Ukraine. "We need to change the state governance system. When we get on the plane, we want the plane to be in working order, the pilot qualified, and everyone was doing their own thing. We also want the Constitution to make the state structure correct, and everyone was competent in his place," Groysman said on the Freedom of Speech talk show on ICTV Monday. "We need to systematically change the Constitution and remove the dualism of power. The responsibilities of the government and the president should be clearly outlined. The system works in the countries where this issue is settled. 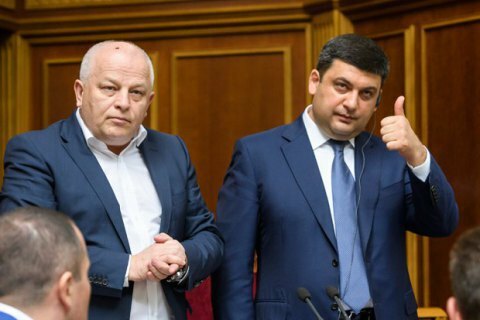 Where there is a dualism, there is always conflict, regardless of personae," said Groysman. When asked whether Petro Poroshenko should go for the second presidential term, the prime minister noted that the head of state himself must make a decision in this matter. "I think that the first or second presidential term is not an end in itself, it's an instrument, so when the president decides on this issue, he will come to the Ukrainian people and ask to support him. I always support our president," the prime minister said.